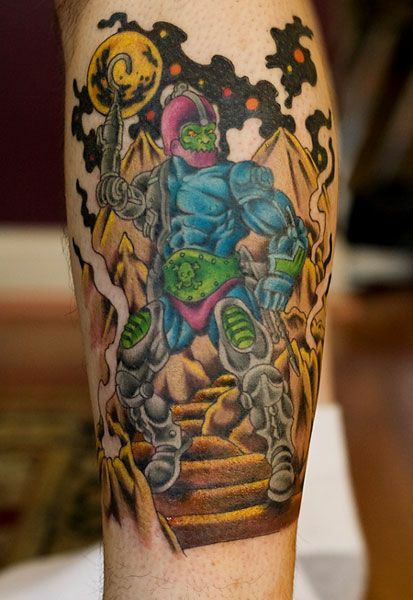 "Trap Jaw At Snake Mountain"
Please keep in mind that this picture was taken immediately after the last session was done, so it was a bit puffy back then. Now that we are a year past it, everything has settled and the tattoo looks fantastic. I can't thank Danbrenus or Andy from over at Flying Tiger Tattoo enough for their hard work in both the design and its implementation in the form of the tattoo. You guys rock! Danbrenus here, thanks for the kind words, I have to say this is my favourite MOTU site/blog/forum actually, you are doing a great work and I appreciate it very much. 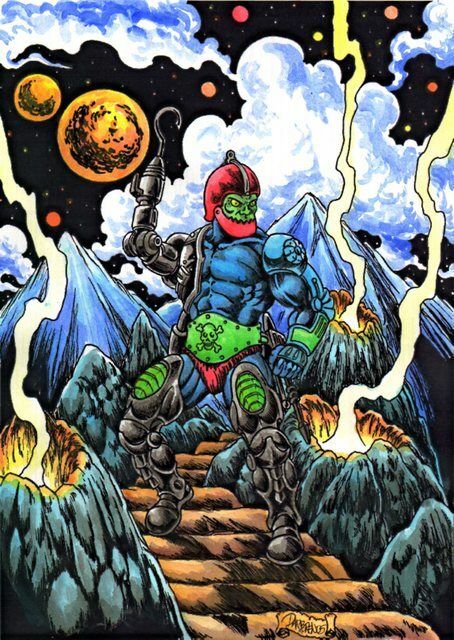 Danbrenus is by far my favorite MOTU artist! His Alcala mini comics style blew me away when I saw it! It made me appreciate the first mini comics even more! That tattoo came out great, it's close to the source material! Dan's Transformer art rocks too, it reminds me of the UK TF, my favorite!